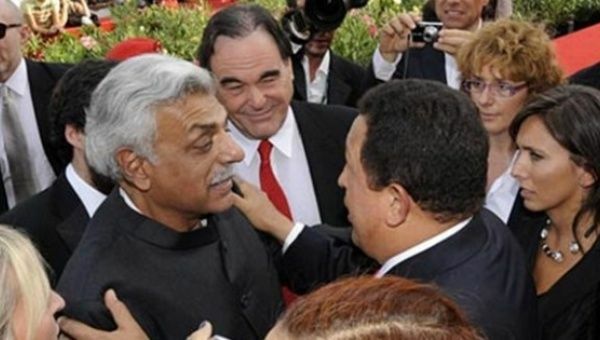 The attempts to overthrow the Bolivarian Revolution date back to the 2002 coup against President Hugo Chavez, says political analyst and leftist Tariq Ali. An event titled, “Tariq on Trump: Keep Trump’s Hands off Latin America,” packed its London location, as an array of scholars and representatives spoke on the political climate in Venezuela. The event was hosted by Ali on behalf of the Venezuelan Solidarity Campaign. The VSC seeks to defend Venezuela’s sovereignty; support the right of the Venezuelan people to determine their own future without external intervention; provide accurate and current information in support of democracy and social progress; and defend the achievements of the Bolivarian Revolution.